NAFSA's leadership structure is led by a Board of Directors. The board guides the work of the association through its Strategic Plan that sets out goals and objectives over a three-year horizon. Specific objectives are assigned to member committees, teams, task forces, and knowledge communities. Ravi Shankar has been in the field of international education for more than 20 years and has worked in various types of institutions, ranging from small professional institutions and community college to a major research institution. He is currently the director of the International Office at Northwestern University in Evanston, Illinois. His NAFSA member-leader experience began in Region V as a community college representative. 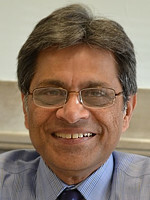 He has also served as Knowledge Community for International Student and Scholar Services Representative; Regulatory Representative; Region V Chair; Membership Committee; Chair of the NAFSA Task Force on Online Case Management Tool (currently called IssueNet); NAFSA’s Diversity Statement Task Force; member-at-large on the Leadership Development Committee and chair of the Leadership Development Committee. 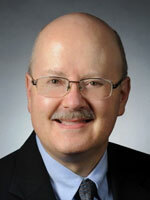 His area of specialization includes intercultural communication, program development, and nonimmigrant regulation. Bonnie Bissonette, EdD, is currently Director, Education Abroad and International Safety for the Center for Global Education Initiatives at the University of Maryland-Baltimore. Bissonette’s NAFSA experience began as a mentee in the second NAFSA Academy class, followed by service as the Wisconsin legislative whip, and the community college representative on the Region V team. She was named NAFSA Advocate of the Year in 2007 and served on the NAFSA Board from 2008 to 2011. Bissonette has an EdD in Higher Education from the University of Minnesota, and an MA in international affairs and economics from George Washington University. 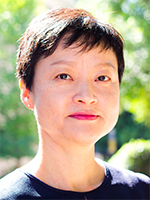 Shinn Ko serves as director of international student and scholar services, global strategy, and initiatives at Emory University. 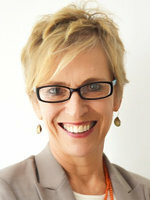 She has presented numerous sessions and workshops at conferences and seminars. She has also held various national and regional leadership positions within NAFSA, including the Leadership Development Committee, the Training Coordination Subcommittee, chair of the Professional Development Subcommittee for the Knowledge Community for International Student and Scholar Services, and community and campus programming representative for Region V.
Jeff Riedinger, PhD, is the vice provost for global affairs and professor of law at the University of Washington in Seattle. He has leadership and administrative responsibility for the University of Washington’s diverse global programming, including support for international research; study abroad; student and faculty exchanges; and overseas centers. He works with colleagues across the university to develop and sustain strategic partnerships with universities, corporations, foundations, government agencies, and nongovernmental organizations to advance cross-college and cross-continent research, teaching, and engagement collaborations that address some of the world’s most pressing problems. 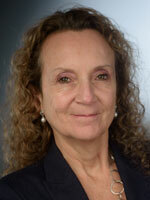 Riedinger is former chair of NAFSA’s International Education Leadership Knowledge Community. Riedinger earned a BA at Dartmouth College, a juris doctor degree at the University of Washington, and a PhD at Princeton University. 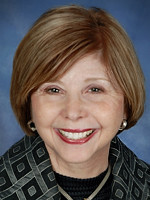 Diana Bartelli Carlin served as the senior international officer at Saint Louis University and at the University of Kansas. She retired from Saint Louis University in January 2016. She has been a NAFSA member since 2000. 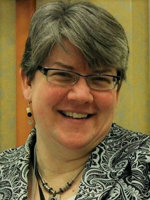 In 2007 and 2008, she served as dean-in-residence and director of international outreach at the Council of Graduate Schools. 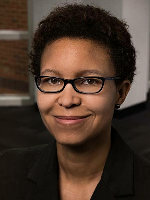 Carlin chaired the NAFSA Task Force on the Bologna Process from 2006 to 2008 and has presented at several NAFSA annual conferences, regional conferences, and preconference workshops. She assisted NAFSA teams with preparations for the 2010 annual conference in Kansas City and the 2013 annual conference in St. Louis, and organized and chaired a Colloquium on Sustainability and Internationalization at the 2013 conference. During her tenure at Kansas, the university received the Senator Paul Simon Award, and the Center for Global Citizenship at Saint Louis University won the inaugural AIEA Innovation Award. She has authored book chapters on joint and dual degrees, international student support, and faculty international development. Carlin received a Fulbright International Education Administrators award to France in 2013 and a Fulbright Specialist Award to Myanmar/Burma in 2016. Carlin is former associate provost for graduate and global education at Saint Louis University, and professor emerita of communication and former dean of the Graduate School and International Programs at the University of Kansas. 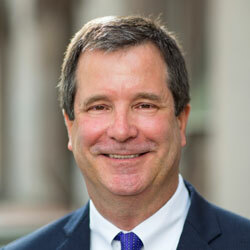 Barry J. Morris, PhD, is chief global strategist and senior international officer at the University of Central Florida. He also serves as internationalization consultant for Beijing Jiaotong University (BJTU). At BJTU, he was the founding vice dean for strategic planning and internationalization at the Hanergy School of Renewable Energy, professor of international relations, and founding secretary general of BJTU’s international advisory board. An institutional strategy and international education consultant, Morris also serves as instructor for the NAFSA/AASCU (American Association for State Colleges and Universities) Senior International Officer Institute in Washington, D.C., and the AASCU/CEAIE (Chinese Education Association for International Exchange) Senior International Officer Institute in Beijing, China. Morris serves on the board of directors of the Georgia Council of International Visitors. 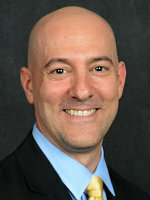 He is the former vice provost for global engagement and strategic initiatives at Kennesaw State University (KSU)—University System of Georgia, where he was responsible for leading KSU's global engagement mission and a variety of campus-wide strategic initiatives. During his tenure at KSU, KSU won NAFSA’s prestigious Senator Paul Simon Award for Campus Internationalization. 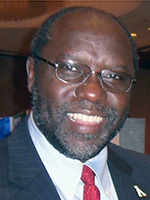 Morris has served as a founding dean of American University of Nigeria and as a lecturer at Georgia Institute of Technology and Georgia State University. He has management experience in global banking and finance, and consulting experience in international finance, economics, and business. Morris earned a BA in Russian and political science with a specialization in international relations from Tulane University, and an MA and PhD in international relations and international political economy from Emory University. He studied Russian at Moscow State University's Lumumba Institute and studied Chinese at Tsinghua University. Morris holds a certificate in global strategic management from Harvard Business School and has completed advanced studies in intercultural communication competency at the Intercultural Communication Institute in Portland, Oregon, and the Intercultural Development Research Institute in Milan, Italy. In 2016, the Chinese State Administration for Foreign Expert Affairs designated Morris as a National Distinguished Expert of the Chinese Recruitment Program of Global Experts (1000 Talent Plan). Michael Adewumi, PhD, is the executive vice president for academic affairs at the IES Abroad. 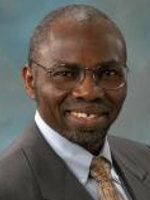 Previously Adewumi was vice provost for global programs at Pennsylvania State University, and professor of petroleum and natural gas engineering. In this role, Adewumi oversaw the university’s global engagements, including the expansive study abroad portfolio; programming and support of a rapidly growing international student and scholar population; and development of strategic partnerships with institutions around the world. In 2007, he served as the inaugural United Nations Educational, Scientific, and Cultural Organization (UNESCO) chair in georesources management at the University of Ibadan. Since 2008, Adewumi has been a fellow of the Nigerian Academy of Engineering. He holds master’s and PhD degrees in gas engineering from Illinois Institute of Technology in Chicago. LaNitra Berger, PhD, is the director of fellowships in the honors college at George Mason University (GMU), where she has helped students secure more than 50 prestigious fellowships such as the Fulbright, Boren, Gilman, Truman, Udall, and Critical Language Scholarship awards. At GMU, Berger promotes internationalization through student advising, university service, and research. In 2015, she received the GMU Spirit of King Award for diversifying study abroad. She is an active member of the Diversity Abroad Network and volunteers with Globalize DC. Berger received her BA in art and international relations from Stanford University and her PhD in art history from Duke University. Susana Carrillo serves as the Assistant Provost for Global Education and Engagement at Radford University, leading all internationalization efforts. She was an adjunct professor at George Mason University. She served as the senior adviser to the International Department, Brazilian System for Workforce and Skills Development. She worked for several years with the World Bank on institutional strategy, knowledge and learning, and managing large policy reform operations. 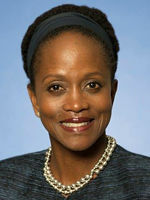 She previously worked with the United Nations as a chief of programs. Carrillo worked in more than 15 countries in Latin America, Africa, and Asia, accelerating results through development of vital multi-sector partnerships (including with government, business, and higher education organizations). She has lived in West Africa, Europe, and Central and South America. Fluent in Spanish, French, and Portuguese, Carrillo obtained a BA (double major) in international relations and Latin American studies from George Mason University; a master’s degree in social and economic development from the Graduate School of International and Development Studies, Geneva (Switzerland), and a global masters from the Fletcher School of Law and Diplomacy, Tufts University. She completed course work at the Graduate School of Economics, Birmingham University (United Kingdom) and obtained a joint executive degree from the Cheng Kuong Graduate School of Business (Beijing), the Indian Institute of Management, Skolkovo School of Management (Russia), and Fundacao Dom Cabral Graduate School of Business (Brazil). 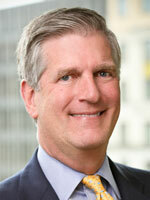 Nelson W. Cunningham is president and cofounder of McLarty Associates. Under Cunningham's leadership, McLarty Associates has developed into a firm with global reach and a global team of more than 80 seasoned international specialists in 18 countries. Previously, Cunningham served in the White House as special adviser to President Clinton on western hemisphere affairs and general counsel at the White House Office of Administration. He was general counsel of the Senate Judiciary Committee, and also served as an assistant United States attorney in the Southern District of New York. Cunningham is a member of the State Department's Advisory Committee on International Economic Policy, and past chairman of the Export-Import Bank Advisory Committee. He was a foreign affairs and trade adviser to several presidential and Senate campaigns. Cunningham currently serves on the boards of the American Security Project and the Business Council for International Understanding, and is a member of Yale University's President's Council on International Activities. Cunningham graduated from Yale College and Stanford Law School. He was raised in Latin America and speaks Spanish fluently. 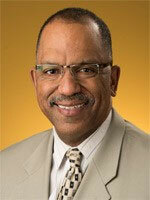 James Dorsett has worked in international education for more than 20 years, mostly at large public universities. Currently he is the interim director of the Office of International Education at the Maryland Institute College of Art. Dorsett’s NAFSA involvement includes serving as chair of the Knowledge Community for International Student and Scholar Services and of Region V, member of the Leadership Development Committee, lead writer for the F-1 Student Advising for Beginners workshop, Region V regulatory ombudsperson, Academy Class II mentor, and presenter of numerous NAFSA sessions and workshops. Dorsett’s degrees include a PhD in educational leadership from Iowa State University, an MA in Russian history, and a master of education in higher education from Indiana University, as well as BAs in history and English from Baylor University. Dorsett has lived and worked in Germany, Russia, and the Netherlands. Ahmad Ezzeddine, PhD, is the associate vice president for educational outreach and international programs at Wayne State University (WSU) in Detroit, Michigan, where he leads the university’s national, global, and corporate educational outreach programs. As the senior international officer, he is responsible for attracting international talent to the university and creating and expanding educational and research experiences for WSU students and faculty across the globe. 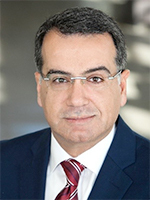 A firm proponent of the crucial role that universities play in driving economic and community development, Ezzeddine is also responsible for academic community engagement that leverages the resources of the university and the talent and creativity of students to benefit local and international communities. Stephen Ferst, EdD, is executive director of the Center for Global Engagement at the College of Staten Island, City University of New York, where he is responsible for all aspects of the college's internationalization. His previous NAFSA volunteer leadership experience includes serving as New Jersey state whip, chair of the Education Abroad Knowledge Community, and, most recently, chair of the 2013 Annual Conference Committee. In 2008, he was named NAFSA Advocate of the Year. Ferst has an EdD from Rutgers University in theory policy and administration. 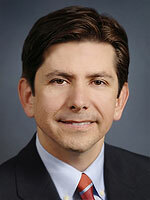 Joël A. Gallegos is assistant provost of international programs at the University of North Carolina (UNC)-Charlotte. Previously, he served as the director of education abroad at UNC-Charlotte and as the director of study abroad at the University of Toledo. Gallegos, who was the chair of NAFSA's 2014 Annual Conference Committee, serves on the board of directors for the World Affairs Council of Charlotte where he chairs the education committee as well as serving on the Board of Directors for the Fund for Education Abroad. He was a member of the Council on International Educational Exchange (CIEE) board of directors and served as chair of CIEE's Academic Consortium Board from 2006 to 2014. From 2007 to 2012, Gallegos served as chair of UNC's University Council on International Programs and chair of the UNC Exchange Program advisory board. He holds an MA in French literature from Bowling Green State University and was the 2008 recipient of NAFSA's Lily von Klemperer award. 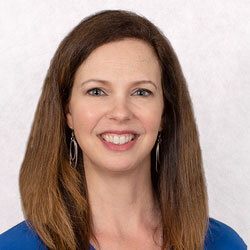 Heather Barclay Hamir, PhD, is president and CEO of the Institute for Study Abroad. Hamir has worked in international education for two decades at both public and private universities. Over her career, she has focused on inclusion in study abroad and enhancing the quality of the educational experience, serving as an active contributor in national discussions on both topics. While at the University of Texas-Austin, the institution was recognized with the Senator Paul Simon Spotlight Award for Campus Internationalization and the Diversity Abroad Excellence in Diversifying International Education Institutional Award for initiatives that substantially increased participation among underrepresented populations. Hamir is coeditor of Promoting Inclusion in Education Abroad: A Handbook of Research and Practice (2018). She serves on Diversity Abroad’s Advisory Committee, is an emeritus member of the Fund for Education Abroad’s Board of Directors, and a past member of the Forum on Education Abroad’s Forum Council. 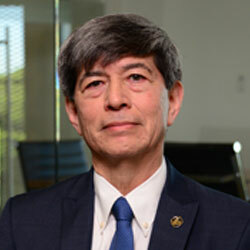 Fernando León-García, PhD, has served as president of Centro de Enseñanza Técnica Y Superior University (CETYS) University since 2010, leading the institution to institutional and program accreditation in the United States (WASC, ACBSP, ABET) and one of the highest study abroad rates among universities in Mexico. 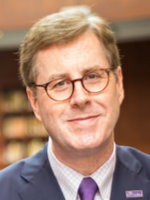 He was previously chancellor of City University of Seattle’s International Division, covering campuses, sites, and programs across the Americas, Europe, and Asia. León-García is president-elect of the IAUP, chair of ACE’s CIGE, and a member of different boards, commissions, and advisory councils such as WASC, CASE, AGB, HACU, CONAHEC, Universia-México, and FIMPES. León-García holds a doctoral degree in educational administration and policy analysis, an MA in international development education from Stanford University, as well as a BA in industrial engineering from CETYS University. Jesse Lutabingwa, PhD, is currently associate vice chancellor for international education and development and professor of public administration at Appalachian State University. Originally from Tanzania, Lutabingwa has more than 20 years of experience in international education and international development. Lutabingwa has been a NAFSA member since 1992 and has served in various leadership capacities at the national and regional levels, most recently as a team member of the International Education Leadership Knowledge Community and the 2013 Annual Conference Committee. Ann Mason has more than 20 years’ experience in international education, higher education administration, and U.S.-Latin American academic cooperation. Mason currently directs her own international higher education consulting firm, Mason Education Group, based in Bogotá, Colombia. Her previous positions include executive director of the U.S.-Colombia Fulbright Commission and professor and chair of the Political Science Department at the University of the Andes, both in Bogotá. She serves on the boards of directors of the University of Rosario and of the U.S.-Colombia Binational Center and is a member of the Accreditation Standards Steering Committee of the Network of Schools of Public Policy, Affairs, and Administration (NASPAA). Mason has advised the U.S. Embassy in Bogotá, the Institute of International Education, the World Bank, the Land Grant University Colombia Consortium, Colciencias, Javeriana University, Tadeo University, and the Ceiba and EDUCA Foundations. Mason’s NAFSA service includes chair of the Teaching, Learning, and Scholarship Knowledge Community and chair of the Latin American Forum. Mason received her undergraduate degree from Georgetown University, and holds a PhD in political science from Yale University. Cecil P. Staton, DPhil, became the 11th chancellor of East Carolina University (ECU) on July 1, 2016. He is a tenured professor in ECU’s Department of Philosophy and Religious Studies. Prior to his role at ECU, Staton served as vice chancellor for extended education for the University System of Georgia and as interim president of Valdosta State University. Staton held several positions at Mercer University, including associate provost, assistant professor, and university publisher, and he was an assistant professor at Brewton-Parker College. For 10 years, Staton served as a Georgia state senator, representing the state’s Eighteenth District. He was also the founding CEO of several companies in the fields of publishing and broadcasting. Staton earned his bachelor of arts degree from Furman University, his master of divinity with languages and master of theology degrees from Southeastern Baptist Theological Seminary, and his doctor of philosophy degree from the University of Oxford in England. 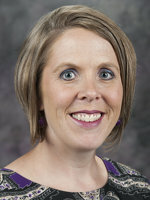 Sara Thurston, PhD, has more than 18 years of professional experience in international education, including the last eight years that she has been at Kansas State University. Thurston’s past involvement with NAFSA includes presenting on numerous topics, mentoring, and serving in the Trainer Corp and on the Leadership Development and Membership Committees. From 2012 to 2016, Thurston served on the Annual Conference Committee as poster chair, workshop coordinator, and most recently, content chair. In 2015, Thurston received the 2015 Homer Higbee Award for Distinguished Service to NAFSA. Thurston has a PhD in higher education administration from Loyola University Chicago. See the rest of the NAFSA Senior Staff.